An organic fruit salad sounds delish, right? 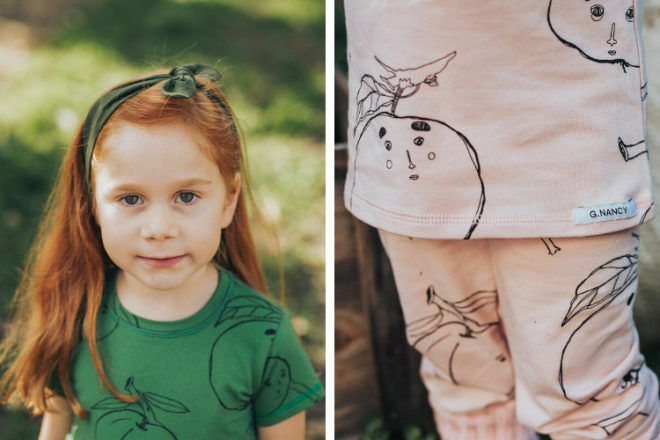 It’s the inspiration for the scrumptious new drop of summer pyjamas from our favourite planet-conscious, Australian children’s sleepwear creator G.Nancy. The ‘Fruit Salad’ collection will become the apple of your eye, with gorgeous earthy tones and delicate hand-drawn prints. Pretty as a picture, yes, but also skilfully crafted using organic cotton, ethical water based ink, and high quality dye. 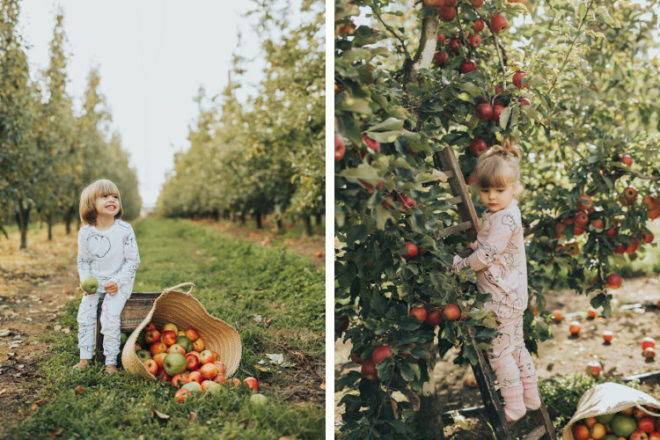 Take a virtual stroll through the G.Nancy orchard, and cherry pick your favourites. 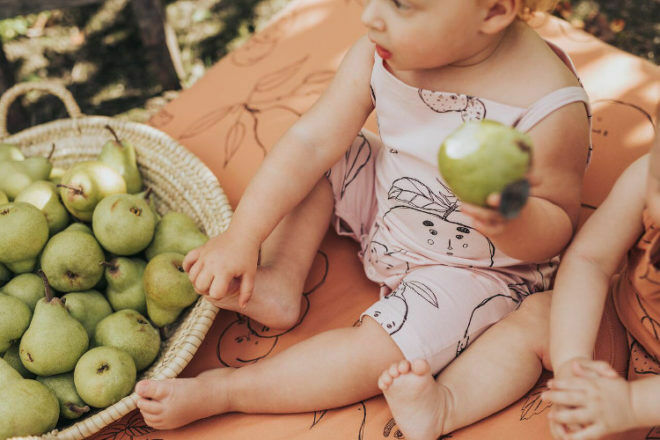 Long and short sleeve PJ sets, nighties, summer suits, and cot sheets make it a fruity fiesta at bedtime, characterised by the label’s enchanting prints and muted tones. The whimsical images are masterfully drawn by illustrator and artist Oli Holmes. The rich colours of terracotta and fern join the collection, adding a spring orchard vibe to the classic white and rose options. 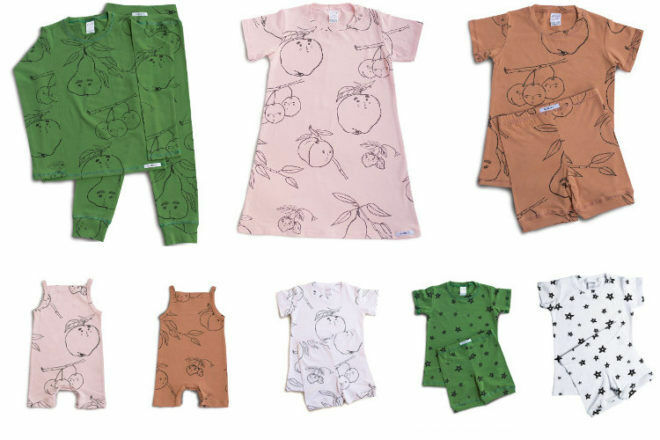 There are summer suits to keep babies covered and comfy on hot nights and cot sheets to add some whimsy to the nursery. 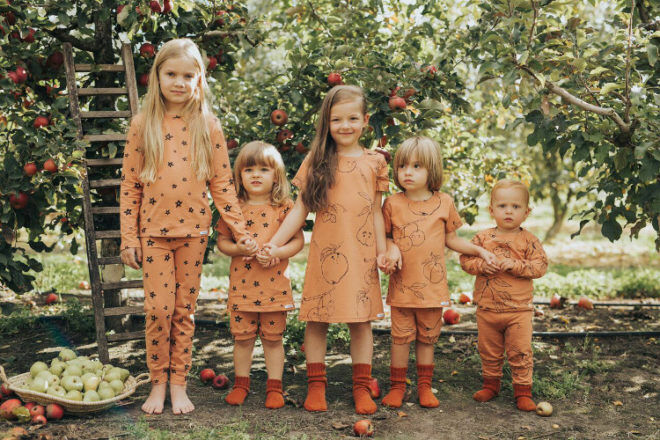 Because nothing but the best will do, all G.Nancy pyjamas are made from soft organic cotton jersey which has been certified by Global Organic Textile Standards (GOTS). The PJs are designed and made entirely in Australia and come packaged in their new custom gift box. Harvest your favourites from the Fruit Salad collection online at G.Nancy.